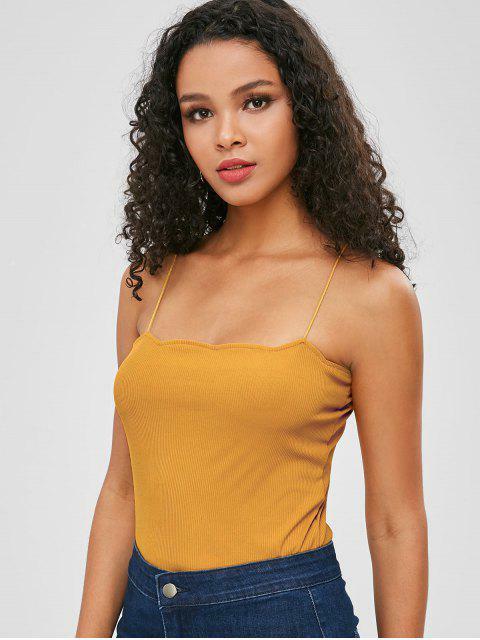 [22% OFF] 2019 Scalloped Trim Knitted Cami Top In BEE YELLOW | ZAFUL .. Expand your options: wear alone or layer to your heart's content. This knit cami top features slender shoulder straps that are not adjustable and chic scalloped trims for a unique look. It is a great top to show off your slim figure.